Although AT&T have started unlocking iPhones, It seems that many people still R-Sim, Gevey Sim or any software unlock to unlock their iPhone 4 04.11.08 baseband. Many of the iPhones are not on AT&T, reported as stolen and no-contract and therefore requires other unlocking mechanisms. 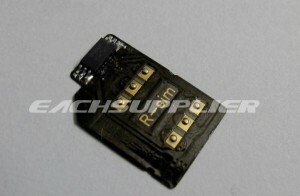 R-Sim generation IV is posponed as reported by EachSupplier. Much like Gevey Sim, this seems to be purely a marketing campaign. Unfortunately, we cannot trust any of the release dates given by Applenberry and EachSupplier, the only option right now is to wait as it may still take few weeks before 04.11.08 is unlocked. Also, you can follow technonix.com via twitter, facebook or email. We will post about 04.11.08 unlock as soon as it is available. Those 7 days requested by eachsupplier id not pass ! 7 giorni!! !, questo lo sento dire da 3 mesi!!! !